Maintenance, which includes weed control, fertilization and supplemental seeding, is important for continued success. Please review the maintenance tips that will contribute to the success of your stand of wildflowers. Establishing native warm season grasses for quail habitat restoration requires proper planning, site preparation, timely seeding and critical maintenance inputs for the success. Garrett Wildflower Seed Farm offers consultation services, which include site visits and a customized planting plan. When geographically feasible, we offer large acreage planting for habitat and plant establishment as well as follow up spraying and maintenance services. Contact GWSF to find out if your location is in our work zone region. Most of our wildflowers and grasses can be grown in many plant hardiness zones. To learn more about plant hardiness zones, visit the U.S. Department of Agriculture’s website to use their interactive GIS-based map. 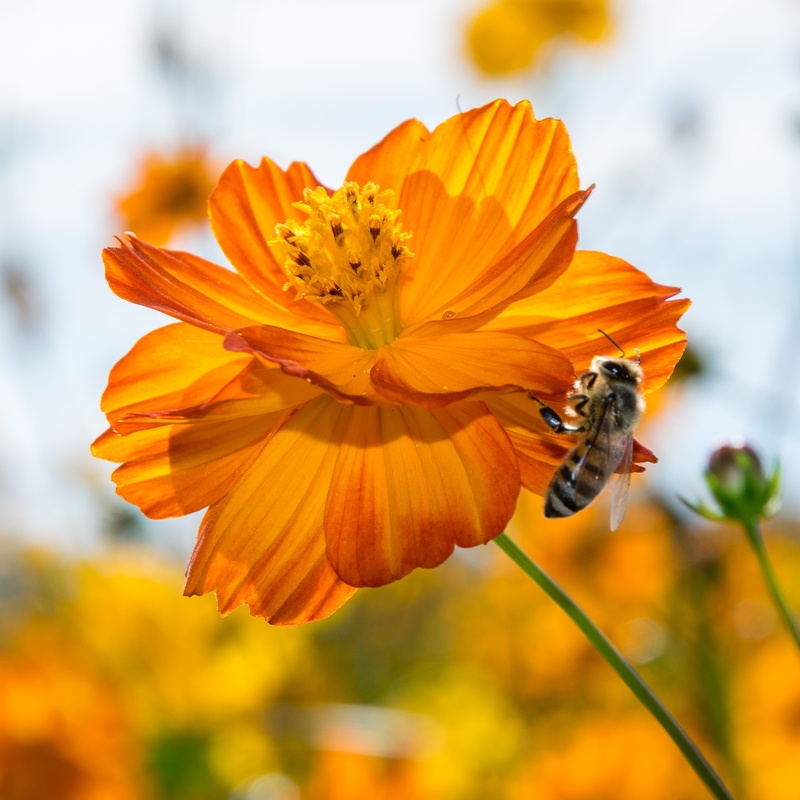 Planting Wildflowers from Seed – Large Acreage – Plan a variety of large acreage sites, such as meadows, pastures, utility rights of way, pipeline installations, farm acreage restorations, landfills, parks, CRP acres and construction site development. Planting Wildflowers from Seed – Small Projects – Growing wildflowers can be an enjoyable experience with proper planning and implementation of these small projects. Wildflower Maintenance – Follow these tips and instructions to better ensure your garden looks and feels its best! Quail Habitat Restoration – North Carolina and other like-minded states have been working to develop habitat restoration programs for the most imperiled bird species in the United States. Learn why and how. Plant Hardiness Zones – The Plant Hardiness Zone Map will assist in your success by showing the right time to plant for your zone. Information for proper planting times is included in the planting recommendations section for each variety.